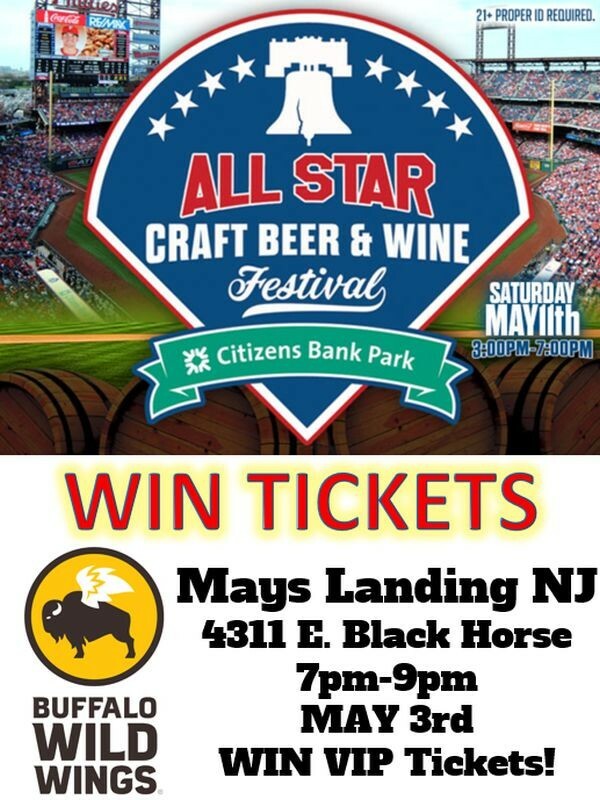 The All-Star Craft Festival at Citizens Bank Park is SOLD OUT and the only way you can win tickets is by attending one of the Buffalo Wild Wings Ticket Giveaway events! RSVP today and bring your confirmation to the event for your chance to WIN a pair of VIP tickets! Must be 21+ to attend the All-Star Festival on May 11th. Winner does not need to be present to win but must submit their entry in person at the event between 7pm-9pm on Friday May 3rd. One eligible entry per person will be accepted. See additional rules and regulations on site. Enter to win All-Star Festival tickets!